The all-in-one, truck-mounted, battery-operated toolbox is perfect for busy construction workers who need all of their most important pieces of equipment right at their fingertips. 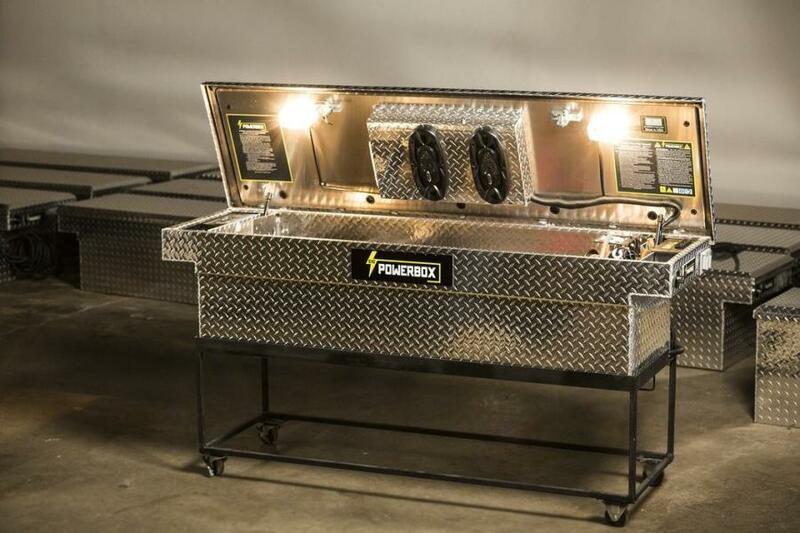 CIC Powerbox, a Pittsburgh-based company has created a toolbox that can turn any vehicle into a mobile workstation, The Joplin Globe reported. "Basically it's a truck-style toolbox, but you have your AC power, jump-start and air all built right in," said Michael Windsor, CIC's senior vice president. "So at the flip of a switch, you have silent AC power, 115-volt ... so that's commercial-grade power. You can literally run a welder off one of these units. You also have 125-psi air built right in. It's got a 3-gallon reserve air tank, 25-foot retractable air hose so you can get to all four tires on your vehicle. ... It's powerful enough to run pneumatic tools like impact wrenches, nail guns, things of that nature." The Powerbox is charged through a vehicle's 12-volt alternator, so it is ready for work by the time a user drives to the job site, The Joplin Globe reported. For Mike Windsor, founder of CIC, the idea of this versatile product came from a basic need. In 2001, Mike was building a shed about 200 ft. away from his home, and struggling with a series of extension cords crossing the yard and getting in the way, The Joplin Globe reported. "[My dad] kept tripping the circuit breakers and everything else," Michael Windsor said. So he thought, "If I had power in my truck, I could just do this all right here." And he started assembling what was the prototype Powerbox. After obtaining a patent, the company opened for business in 2015, and has since sold 400 units across 29 states. Its bigger toolboxes work well for the farming, construction and defense industries, while its “go boxes” are perfect to keep in the trunk of the car for roadside emergencies. CIC also holds contracts with the U.S. Army, the U.S. Air Force and the National Park Service, The Joplin Globe reported.